I made this card for a birthday party my daughter is going to today, hope the little girls likes it. It was a bit of a challenge finding just the right blue's for this patterned paper & I can't say I'm totally thrilled with the end result but time has run out and the party is today so we are going with it. I used SU patterned paper & cardstock on this one. The images are stamped on Prism Simply Smooth with Memento Black ink. Close up of Tilda and the inside, I am totally hooked on doing the inside now I think I will continue doing this. I didn't have the proper colour pearls so I used my compressor and Copic Sketch markers to spray the pearls with Y15 to match. I also used the MS butterfly edge punch and corner punch. I stamped Tilda, coloured her & cut the image out so I could place her on the chair. You could also create a mask for the same effect. Thanks for stopping by, your comments are most appreciated and welcome! Just a short little post for you all today, this is Tilda Sitting (not sure of proper name) with the School Desk. I have stamped on Prism Simply Smooth with Memento Black & coloured with Copic's. Today I have a very quick post for you. I love my Magnolia stamps and I admit to having a sizable collection of these lovely stamps. I have not inked one for a couple of months so tonight I just could wait any longer...I did up this card pretty quickly so please excuse any errors you might see. 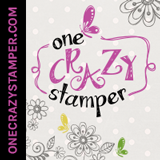 I don't carry Magnolia stamps in my on-line store but I lovem' anyway. I'm not quite certain of the proper name for this Tilda as I received this image from a friend but I'm thinking perhaps "Tilda picking apples"..maybe?? Oh well that's what we will call her tonight anyway. If someone wants to let me know her proper name that would be wonderful. I coloured with a mit full of Copic's...which by the way are all available in my on-line store, if they aren't showing they will be by mid next week. Thanks so much for stoppin' by & I hope to see you back next time! Well this poor little Barefoot Tilda has sat on my desk for at least 2 weeks or more...all coloured and just waiting to be put together. Everyday I looked at her and she looked at me, I just couldn't take it anymore so I put her together tonight. I feel so bad but I put away the Copic's a week ago and cannot for the life of me remember which ones I used...note to self...don't do that again that's what posties are for. I still thought I should share her with all of you today! Thanks so much for stopping by today, I will remember those Copic numbers for next time I promise. I really enjoyed colouring this Tilda, she is just so fun! I used the Glassy Embossing Technique on the piece behind Tilda. The UTEE is interference blue with some Ultra Effects both are by Suze Weinberg. The cardstock is Old Olive with Green Galore & the patterned paper is Kaiser Craft. The ribbon is misc. from my stash as are the little rhinestones. Thanks so much for stopping by, have a wonderful day! It kind of feels like Monday today because we had a holiday yesterday, Family Day & it through me right off. I'm back today with another Jeweled Acetate card. This technique is quite interesting. It combines Pearl Ex, heat resistant acetate, a water base ink pad & clear embossing powder. The technique originated on Technique Junkies. The technique is on the round oval portion. This card is 6 x 6, base is Stampin' Up! Pretty in Pink with a retired SU patterned paper. I air compressed the card base , both mats, SU Ribbon and two brads to match with my R02 Copic marker. Hope you enjoy today's post & as always I appreciate all your comments. This is my first challenge card for Mojo Monday #126. I had originally coloured this image with something else in mind. I coloured with Copic's using, G12, G14, G16, R35, R37, R39, E55, E59, E57, C2, C4 & C7 with the Chocolate Spica pen over the shirt & socks. I also used a red Gelly Roll from Sakura on the flower. The tag is from my stash and was originally an ivory coloured so I used my air compressor to colour it. The label is done with SU's Vintage Label set and Scallop Punch. The cardstock is SU Certainly Celery & Real Red. The patterned paper is misc. Hope you enjoy today's post, thanks for stoppin' by...please let me know what you think! It's the day for hugs & kisses so I thought it would be a good day to post my Berry Tilda card using the Jeweled Acetate Technique. This is the first time I have made a card in 6" x 6"...WOW I was so surprised how much more space you have to create when you make a card this size...now I know what I have been missing all this time. This is a close up of Tilda. Thanks for stoppin' by, see you again with a couple more Jeweled Acetate Technique cards! Tilda with a Hat - Thinking spring! Okay so I'm so totally done with winter already. I shouldn't really complain all that much because we have had that much snow here in my part of Ontario (Canada) but we did receive some today. I am not a winter bunny at all...so I thought some spring inspiration was in order. This is my Tilda with a Hat which I could not decide what colours to use. So I settled on two versions for the image. When it came time to put her together I thought I would be a bit more difficult than it was to find cardstock and paper to co-ordinate...but...I think this combo works well. Here she is coloured with Copics in a green hat. The cardstock is Blush Blossom with textured Old Olive. Old Olive DSP & Basic Grey DSP. The organza ribbon is SU. I air brushed the Prima flowers and the jewels to match. I used my new SU Pinking Hearts boarder punch with some nesties. Oh and a bit of Crystal Stickles for glitter on the hat and bottom of the dress..I think it's a bit hard to see in the pic's. Thanks so much for stoppin' by, would love for you to leave a comment to let me know what you think! Well I have been working on this card for a few days now..more because I make a few copies of the same card. I admit to struggling a bit with this image..for some reason I just couldn't rap my head around it. But I stuck it out and I'm pleased with the result. I will tell you about my struggles as we go through this posting. I started to colour the purple first, using my Copic's. I know you should always start with the lighter colours but I never follow rules very well. Anyway I just couldn't get the colour to work, it just would not blend for me. So I thought I'm going to finish this image anyway and I will think of some way to fix it. I continued on and the following two images were not too bad. Now I'm done colouring what am I going to do with this little mess on the dress? The first thing I thought of was to paper piece the dress, I had not ever done that before but there is always a first...I love first times for me, I know tons of people do this all the time. So I went and stamped three dresses and cut them out....so now I'm happy that my little girl isn't going to look like a streaky mess anymore. Now I'm considering embellies for my card...didn't have a ribbon to match and I really wanted to use this 1 1/2" thick ribbon out of my stash..had it for more than 5 years never used it once. Only problem was it was white & I didn't want to die it this time....so I got to thinking about the Faux Panel technique I taught a couple of weeks ago...and my little idea was born from there. What does the Faux Panel technique have to do with this you ask...well it uses a sticker maker or at least that what I use to do it. I ran my ribbon through my little Xyron sticker maker so that I could flock it. I recommend that when you start to remove the ribbon from the paper that you go very slowly so the adhesive stays on the ribbon. This particular ribbon has wire in the edges so it wasn't too bad. I poured the flocking on very generously and patted it down to make sure it stuck well. I just happened to have the purple on had that matched my cardstock and my Copic's quite well. Flocking really goes a long way, I poured everything back into the bottle when I was done. This is so simple but so cool...now my ribbon feels like fur...I'm lovin' how things are going so far..let's continue.. Since I did the ribbon I thought it would be very nice if the little dress matched and had that furry feel too. This is a closer look at the flocked dress. I air brushed the flowers with the matching green & also air brushed the pearls with the matching purple. All with my Copic's. The cardstock is Lovely Lilac by SU, patterned paper is misc. from the stash. I made the antena with wire & sprayed them a bit with the purple too...final touch was a bit of dazzling diamonds for sparkle. This is the finished card...thought I was never going to get to the part! Thanks so much for stoppin' by today...let me know what you think! Please be gentle this was my first attempt at a tutorial on line!